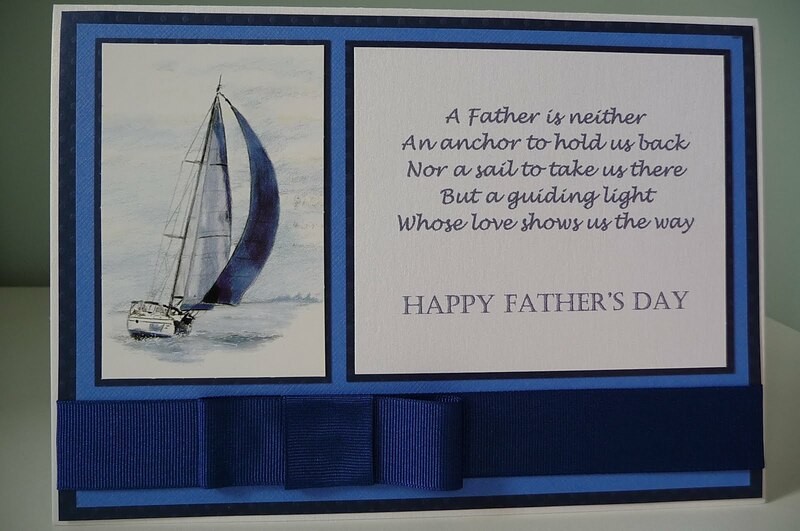 This is the card I made for my dad this year, he loves anything nautical. Image is Anita's, I found the verse on the internet. Faux bow (strip of ribbon, small piece of looped ribbon attached horizontally and then a smaller loop going over both vertically). Hi, I'm Susan, welcome to my blog. 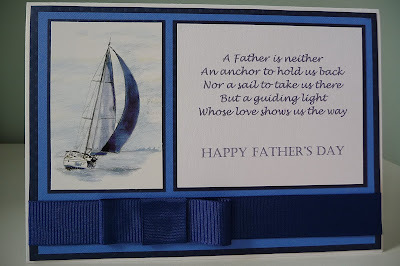 I've been paper-crafting since 2001, mostly making cards but also the occasional box or gift bag. I wanted to keep a record of my creations so I could refer back to previous cards that I might have then given away. There isn't much in the way of chat here but I am happy to explain anything further, equally happy for any ideas to be used as inspiration, and delighted with any comments that you might care to leave.